In the Valley of the Sun, when you get the first rays of light depends on when the rising sun clears any mountains to the east. 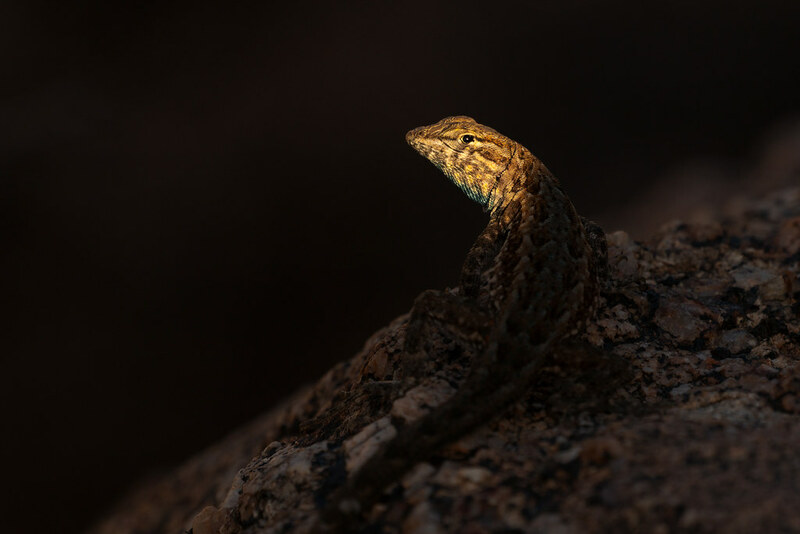 This scene played out in miniature early one morning when I found this common side-blotched lizard completely in shadow until it turned its head into a shaft of light that had just cleared the rock behind it. This entry was posted in Reptiles and tagged Arizona, Brown's Ranch, common side-blotched lizard, desert, lizard, McDowell Sonoran Preserve, Rustler Trail, Scottsdale, shadow, Sonoran Desert. Bookmark the permalink.